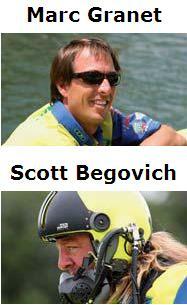 In this era of extreme sports and advanced engineering, few sports match the appeal of offshore powerboat racing. Even fewer demand that a profound synergy exist between two pilots – in this case driver Marc Granet and throttleman Scott Begovich – and the vehicle they command. Outside of their skills and instincts, these pilots are only as good as the instruments they rely upon. Cue the watch engineers at Edox and the new Edox Miss Geico Racing Limited Edition Chronograph. 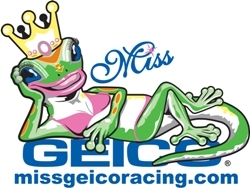 Edox is an official team sponsor of Miss Geico Racing. 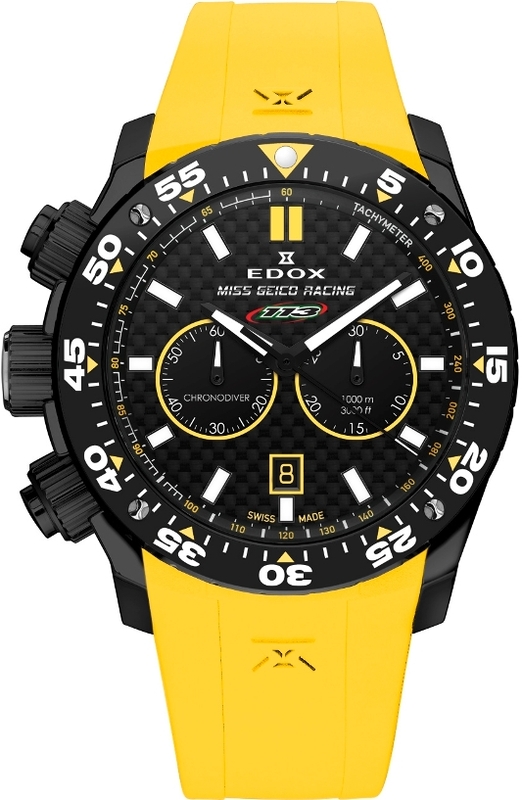 The timepiece company introduced the Edox Miss Geico Racing Limited Edition Chronograph in 2011 with the ambition of capturing the spirit of the Miss Geico offshore powerboat in every respect, from precision to performance. 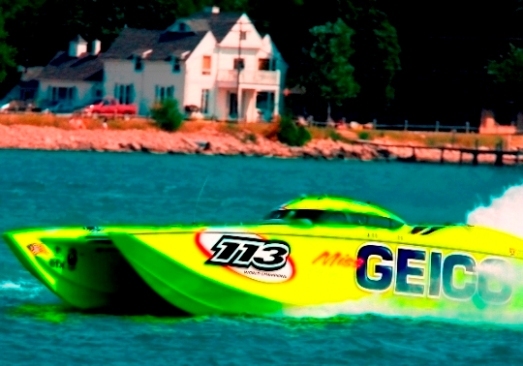 The Miss Geico is one of the most recognizable offshore powerboats in the water: a bright yellow, 50-foot-long, twin-turbine Mystic catamaran, 4,000 horsepower, capable of reaching speeds in excess of 210 mph. The watch also boasts an eye-catching exterior including a yellow strap, which creates an instant connection. Under the hood, the Miss Geico chrono houses an extremely efficient engine – Edox’s Calibre 103 movement, which is based on a Ronda quartz movement featuring a battery with an ultra-long lifespan of an estimated four-and-a-half years. When the crown is pulled out, a power-saving mechanism further reduces the demand on the battery by a whopping 70 percent. Several materials are integrated into the watch’s build. The 45 mm case is made of 316L stainless steel and coated with black PVD. The caseback is engraved with a Class 1 racing propeller, a special Miss Geico Racing design and the individual watch number. The dial features black, carbon fiber with white hour indices at each hour except “12,” where a yellow double-marker appears instead. 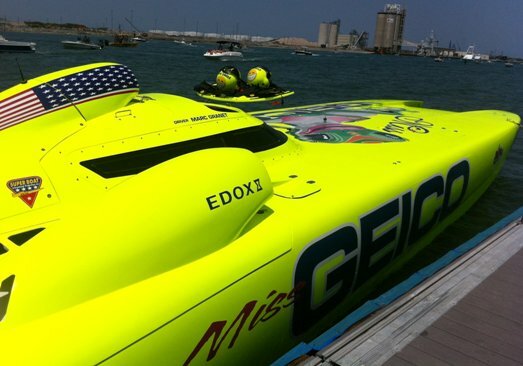 Below it is the Edox logo, the Miss Geico Racing logo and the boat’s number “113,” which is applied in the same style as it appears on the powerboat. The dive bezel is made of black ceramic and features four hourglass-shaped stainless steel rivets. The Edox hourglass logo is embossed on the yellow (it also comes in black) rubber strap, which is shaped and fitted to the lugs. Like the case, the folding clasp is made of stainless steel and coated with black PVD. As for function, the chronograph has a central-seconds hand and a 30-minute counter at 3 o’clock. The counter at 9 o’clock has a perpetual small-seconds hand. Both counters are outlined in yellow, as is the date window at 6 o’clock. The date ring (on which the date numbers appear) features a black background and yellow numerals that perfectly match the dial. A tachymeter circles the outside of the dial. 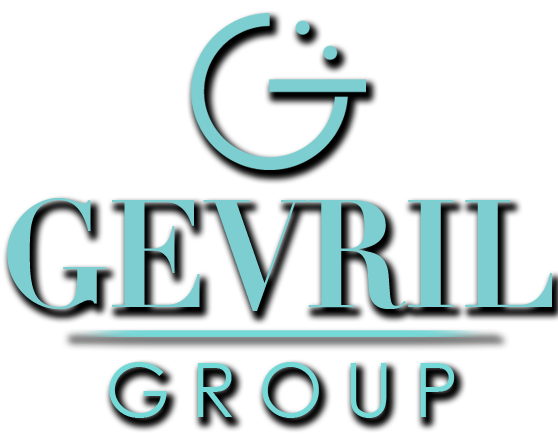 Excellent water resistance is expected for any watch associated with water sports and the Miss Geico chrono delivers and then some. The case is pressurized, the crystal is a scratch-resistant, anti-reflective synthetic crystal, and the crown and chronograph pushers are all screw-down ensuring supreme water resistance down to 3,000 feet. One final trait that the Miss Geico chrono shares with its powerboat namesake is exclusivity: production is limited to just 113 pieces worldwide. Each watch is individually numbered from 001/113 to 113/113 on the engraved caseback and comes with an official certificate guaranteeing its authenticity. Edox’s relationship with Class 1 offshore powerboat racing began in 2006. One year later, Edox revolutionized powerboat timing systems by utilizing both satellite and GPS technology. Today, Edox is the official and exclusive timekeeper of the UIM Class 1 World Powerboat Championship and the Edox Pole Position Championship.